Comprised of Ohgeesy, Rob Vicious, Fenix and Master Kato, Los Angeles hip-hop collective Shoreline Mafia met and bonded over their shared love of music whilst doing graffiti on the City of Angels' streets. 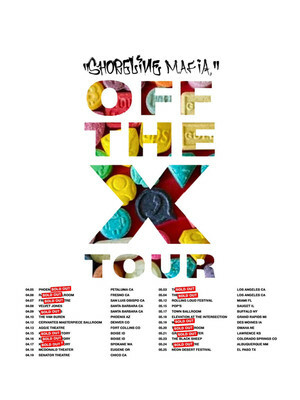 Making their professional debut with the release of their first full-length mix-tape 'ShoreLineDoThatSh*t' in late 2017, they introduced the world to a trap-beat-filled, rebellious rap style that has since reinvigorated the West Coast scene. 19-year-old rapper Lil Pump will head on tour, which comes after dropping his successful 'Harverd Dropout' that he brought out last year to huge positive appraisal. 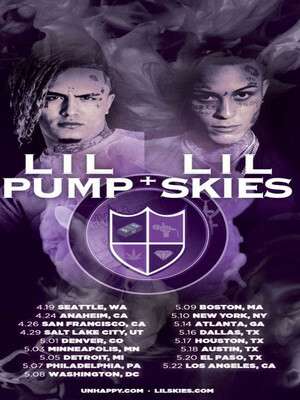 Pump will be joined by rap newcomer Lil Skies, whose debut mixtape, 'Life of a Dark Rose' peaked at number 10 on the Billboard 200 chart when it came out last January. 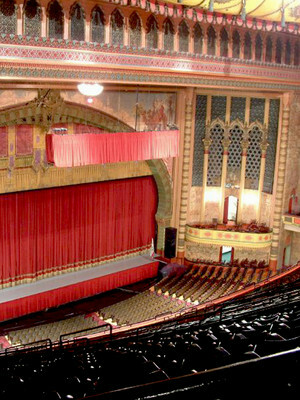 Please note: The term Shrine Auditorium as well as all associated graphics, logos, and/or other trademarks, tradenames or copyrights are the property of the Shrine Auditorium and are used herein for factual descriptive purposes only. 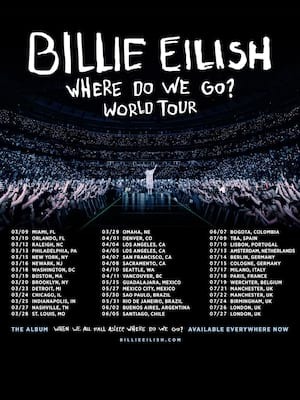 We are in no way associated with or authorized by the Shrine Auditorium and neither that entity nor any of its affiliates have licensed or endorsed us to sell tickets, goods and or services in conjunction with their events.